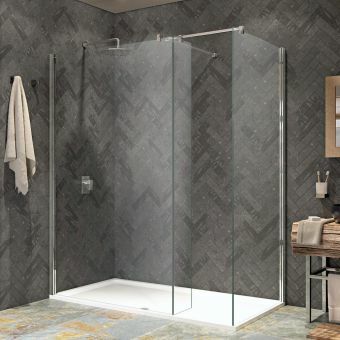 The inherent beauty with unmatched performance of this wet room enclosure will transform your bathroom above and beyond any other, you may have seen. 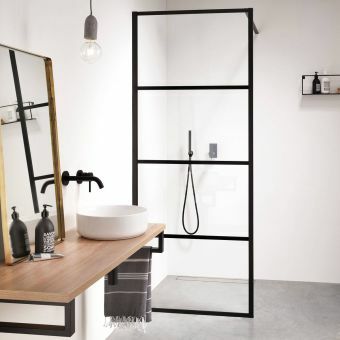 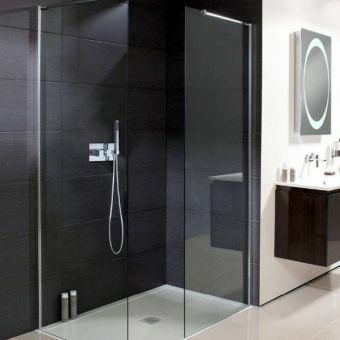 It enhances the bathroom without dominating and the addition of a hinged panel that keeps excess water spray out of the bathroom area is to be welcomed. 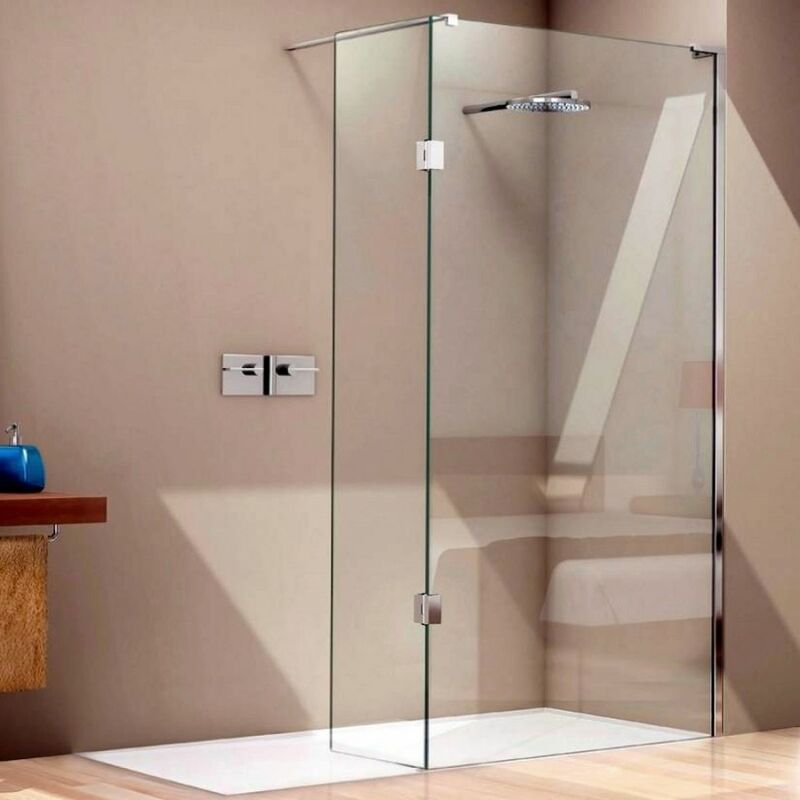 Both parts, the main screen and the hinged part are brought together with a seamless waterproof joint developed especially for this particular enclosure by Matki engineers. 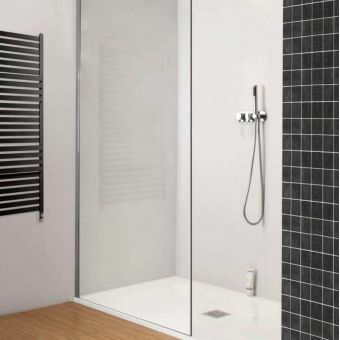 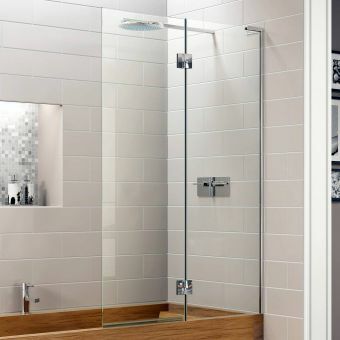 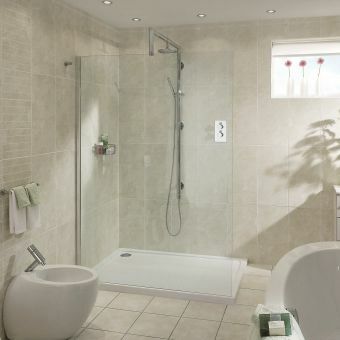 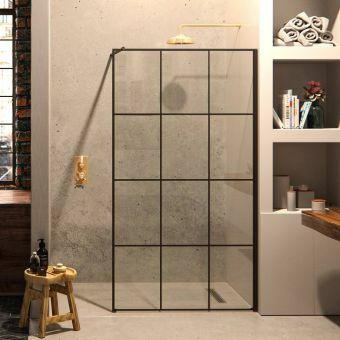 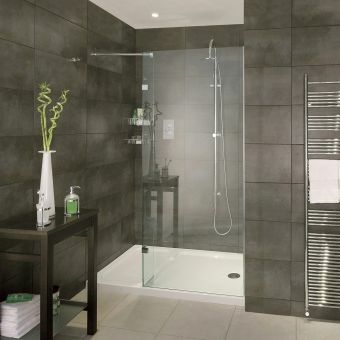 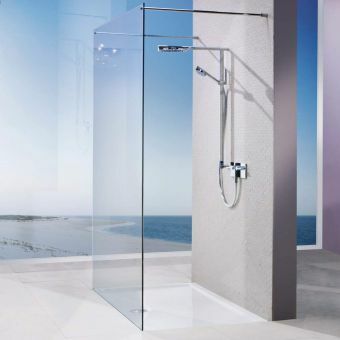 Three widths of 1150, 1430 and 1570mm wide (both panels) give a flexibility of installation that will embrace most bathroom sizes and the durability of industry-leading 10mm safety glass only serves to enhance the whole showering experience. 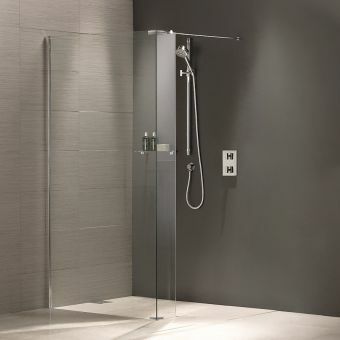 Thoughtfully, the design boffins at Matki have produced these wet room panels with a reversible handing, allowing them to be fitted in either direction without a fuss. 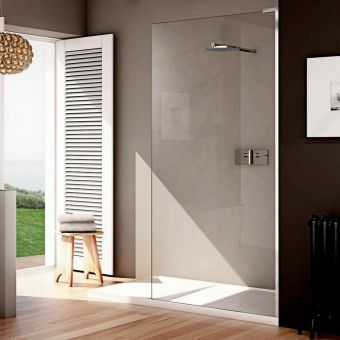 The minimal frame and profiles are supplied in a polished chrome as standard. 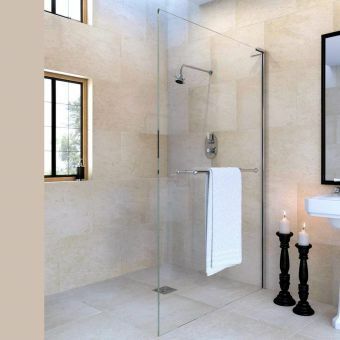 If a polished nickel or gold finish appeal to you, please contact us for more information.